6 Tips for Choosing the Perfect Hair Extensions Salon : Choosing to look after your appearance, generally involves scheduling a facial or massage to improve the health and appearance of your skin. However, sometimes you need to do a little extra to achieve that beautiful end result. Your hair is an integral part of your appearance but often, even a good haircut and treatment doesn’t quite do the trick – this is when hair extensions can make a real difference. If you are considering hair extensions, choosing the right salon can make all the difference to your experience. 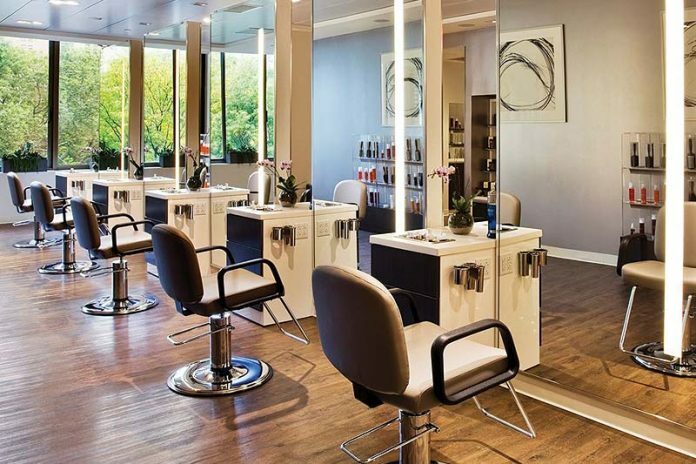 These tips will help you make the best possible salon choice. A sign of a good salon is when every staff member is helpful and knowledgeable. Australia’s top salons all offer free consultations where they will discuss your goals with you and take you through all your options before scheduling the installation of your hair extensions. Use this as an opportunity to find out more about the experience of the technicians at the salon before you schedule your main appointment. While synthetic hair extensions are fine if you’re looking for a more affordable option, human hair extensions look and feel like real hair. Top salons such as EH Hair Extensions will only use human hair because it hasn’t been processed using harsh chemicals and looks the most natural. Talk is cheap and almost anyone can claim that they’re a hair extensions expert. Visual proof is the only real way to tell whether a stylist is capable of achieving good results. Look for a salon that can provide you with before and after photos and better yet, a salon that can also provide you with client testimonials. Experience and quality are a must when evaluating potential salons but spending time with a highly-skilled stylist in a tense environment is not something you want to do. When you meet with your stylist during your consultation, pay attention to the ambience in the salon. Is it a relaxing environment? Is the staff friendly and polite? Is the salon clean and comfortable? Reputable salons will clearly display their pricing at their premises and on their website. Top salons do charge slightly more because of their experience and the quality of the hair extensions that are used. Be cautious if the pricing seems too good to be true. Where a salon is located also says a lot about what you can expect as a client. If it’s in a rundown building and is surrounded by dreary businesses, it might be a good idea to continue your search. Salons that don’t want to spend a lot of money on a good location, probably aren’t too fussed about making a good impression. If the salon you’re considering ticks all of these boxes and more, you’ve made a winning choice. Hair Extensions Myths: Everything You Need To Know!